You would have to be living under a vanity table (or not keeping up with The Healthy Home Dream Team® weekly newsletters) to be unaware that synthetic fragrance really stinks! When it comes to the fragrance industry being legally allowed to bombard you with hundreds of chemicals – all under the guise of one word (fragrance) on any given personal care or household cleaning product ingredient list – ignorance surely isn’t bliss! If you were already aware, you go girl (or, guy)! If not, pick your pretty little self up and keep reading ‘cause there are more dirty secrets when it comes to this industry! Did you know that the term “unscented” slapped on the fancy packaging of your fave product doesn’t necessarily mean the product is fragrance-free? Yep, it could mean that there are still fragrance chemicals in the product intended to mask the scent of the other ingredients! Say what?! That’s right — there are numerous products that are labeled “unscented,” but the ingredient list on the back includes “fragrance” or other chemicals that are common perfume and fragrance ingredients. Don’t know ‘bout you, but in my book – fragrance paired with unscented is – how shall I say – an oxyMORON! Women are 2-3 times more likely to suffer from fragrance allergy than men. Female-dominated occupations are significantly more likely to be associated with fragrance allergy such as: massage therapists, cosmetologists, household workers, and stylists. Fragrance is found in 96% of shampoos, 91% of antiperspirants, and 95% of shaving products. Pssst! 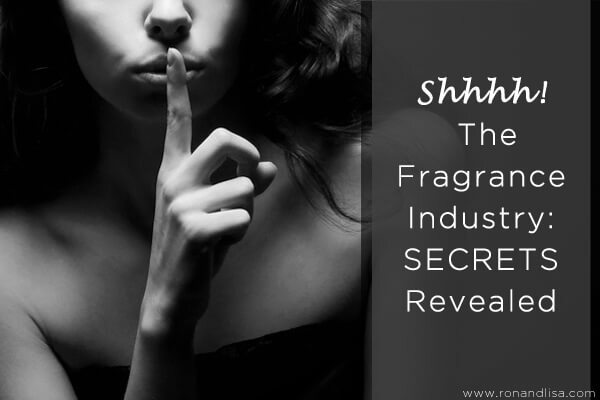 Tell the fragrance industry to stop keeping fragrance ingredients a secret HERE! Bravo! Women’s Voices for the Earth great group.